Wolf Creek Pass needs your help to remain the beautiful area that you and thousands of others know and love. Out-of-state developers continue to pursue plans for a "Village" at Wolf Creek, a city of 8,000-10,000 people at the top of the Pass. We've been working for over 20 years to keep Wolf Creek Pass wild. Check out the current status. Sign up to receive emails to stay up to date on all things Wolf Creek Pass (choose Friends of Wolf Creek News). Court costs can get expensive. Help us fund the cause to keep Wolf Creek pass wild. On July 20, 2018 we filed a Freedom of Information Act request to better understand the Forest Service’s decision to grant an easement to allow for construction of the Village at Wolf Creek. After months of not providing documents, we filed suit to obtain the information, and a Federal Judge has ordered the Forest Service to release documents to us every two weeks. We are posting the documents here as we receive them so that the public can remain involved in this process of understanding how the Service is making decisions about the management of our public lands. 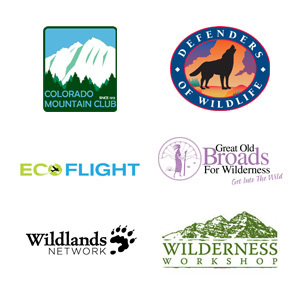 Rocky Mountain Wild is a 501(c)3 that works to protect, connect, and restore wildlife and wild lands in the Southern Rocky Mountain region. The San Juan Citizens Alliance advocates for clean air, pure water, and healthy lands – the foundations of resilient communities, ecosystems and economies in the San Juan Basin. San Luis Valley Ecosystem Council is a 501(c)3 that works to protect and restore the biological diversity, ecosystems, and natural resources of the Upper Rio Grande region, balancing ecological values with human needs. Sign up for our newsletter, donate, or contact us. Sign up to receive emails and we will periodically update you when there is news. Like us on Facebook and keep up-to-date with all the latest news. Follow Us on Twitter and keep up-to-date with all the latest news and similar causes. Donate to the cause on GivingFuel. Please select "Friends of Wolf Creek" under "Direct My Donation."